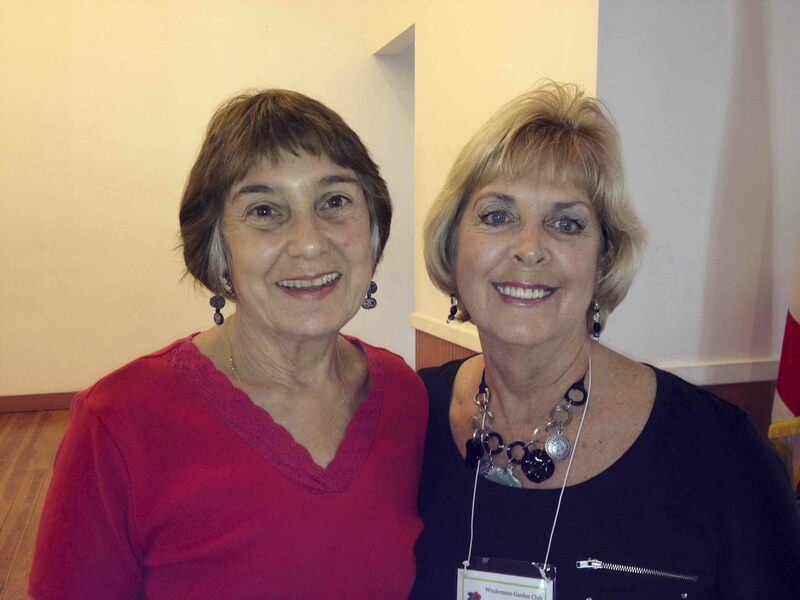 Windermere Garden Club met at Windermere Town Hall on January 10, 2013 at 10:00 am. Our program opened with speeches from the UF Environmental Horticulture students WGC sponsors every year and their advisor, Amy Alexander. This year we are sponsoring two new students, as our previous students, Cody Monroe and Gina DeFalco, have graduated. Amy updated us on what Cody and Gina have been doing. Amy then introduced our two new students, Sheila Scalaro and Jules NeSmith, who told us about their horticultural studies, dreams and goals. After the meeting, a few WGC members took the girls out to lunch. 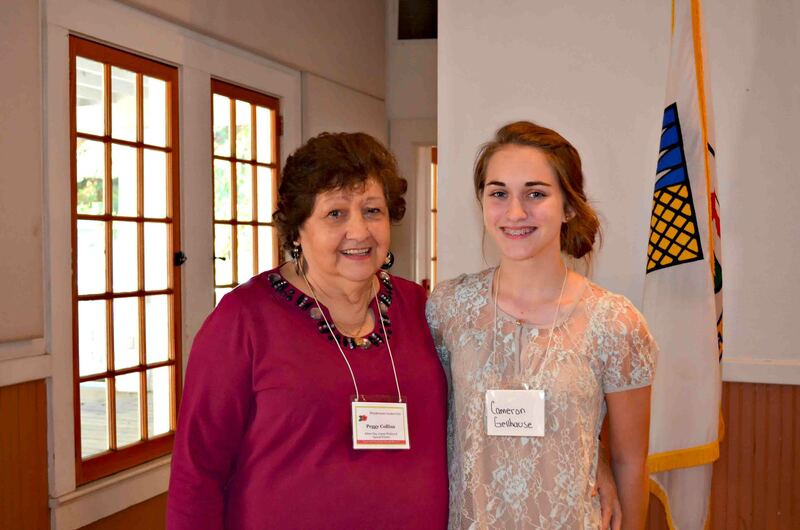 Previous President, Peggy Collins, introduced her great-granddaughter, Cameron Gellhouse, who has attended Camp Wekiva several times. 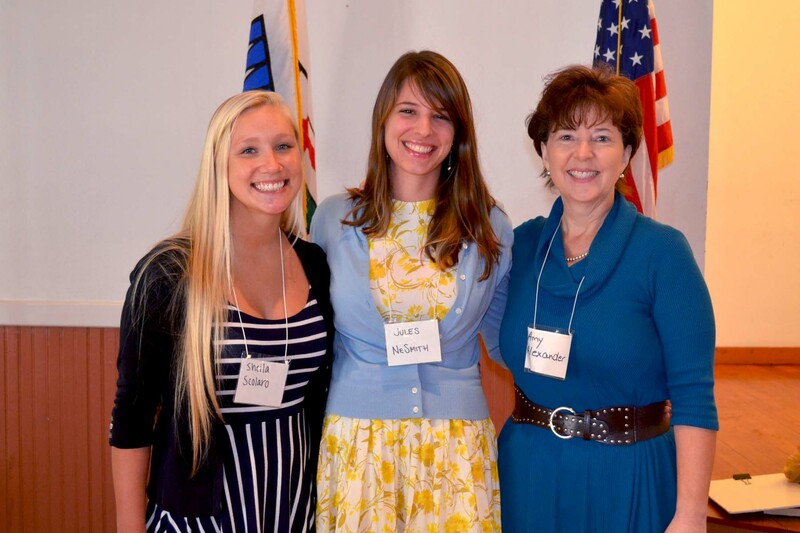 WGC sponsors a few students to attend Camp Wekiva every summer and Cameron has been one of the recipients. 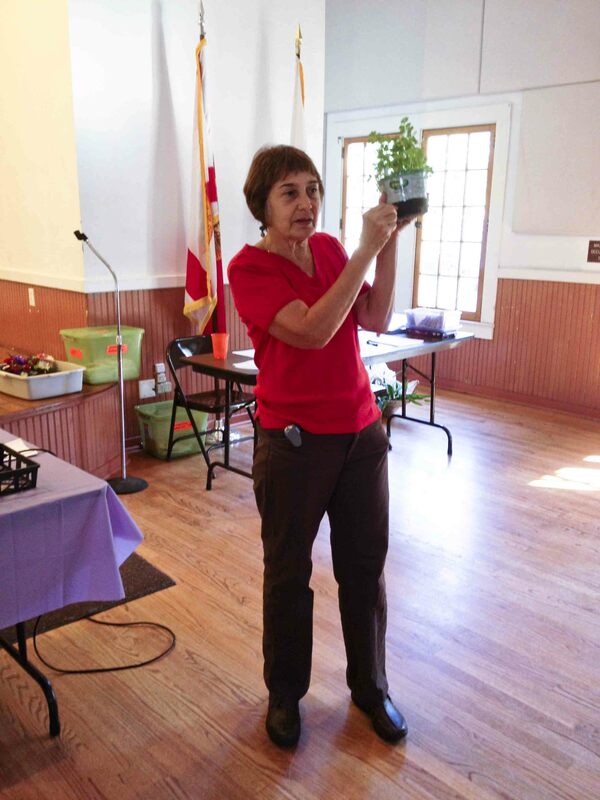 She spoke about her experiences with Camp Wekiva and told some entertaining stories about primitive camping and the critters they “ran” into. Planning for the Crazy Card Party in March has already begun. WGC reminds members to save their small tissue boxes to donate for table decorations and start thinking about items you can contribute to raffle baskets, door prizes and the silent auction. Photos courtesy of Webmaster and Club Photographer, Donna Ditges. 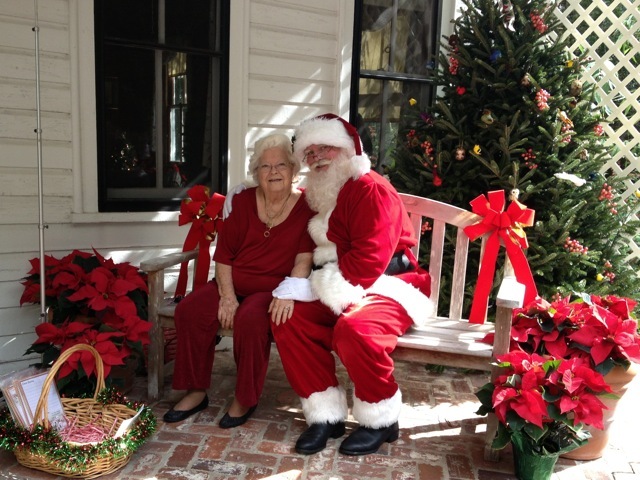 Windermere celebrates its 20th Anniversary as a Tree City USA with the annual Arbor Day Ceremony Thursday, January 17th, 10am and the 9th Annual Windermere Treebute Arbor Day Festival, Saturday, January 19, 2013 from 10am-4pm at 512 Main Street . 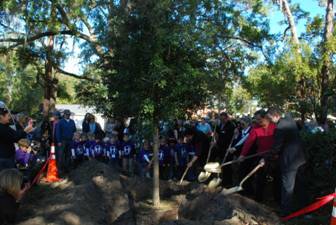 The family friendly Windermere Treebute Arbor Day Festivalhelps fund Windermere’s Urban Forestry program with proceeds from the festival used to purchase and plant new trees each year by Tree Board volunteers and local residents. The events are sponsored by Windermere Tree Board, Tree Climbing Concepts Training Team Inc. (TCCTT) and Windermere Garden Club who share a unique partnership in public tree education programs, tree arboriculture and safety programs and tree planting projects which support Windermere’s Urban Forestry program. There is no cost for admission. Take a tree home to plant with your children and create a living legacy for future generations. Florida Native hardwoods such as Long Leaf Pine, Magnolia, Sugarberry, Oak, Cypress , Loblolly Bay , Holly, Red Maple, Hickory , Cedar, Black Gum, Red Bay and Sycamore are available for adoption and sale to diversify our Urban Forest which consists mostly of Oak species. For those who have mature trees, understory and flowering trees are offered such as Red Bud, Fringe Tree, Dogwoods, Chickasaw Plum, Simpson’s Stopper, Tabebuia and historic Camellias. For edible landscaping, mulberry, citrus trees, apple, peach, pear, loquat, plum and Florida blueberries are also available. 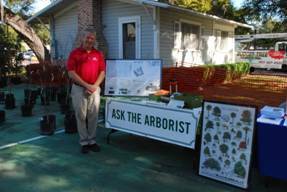 Windermere Tree Board and arborists supply public tree education utilizing the “Ask the Arborist Booth” where residents can get advice from ISA Certified Arborists regarding the “Right Tree for the Right Place ”in their yards. 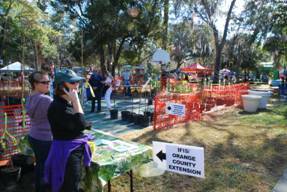 IFIS Orange County Extension is also available for horticultural and pest control questions. 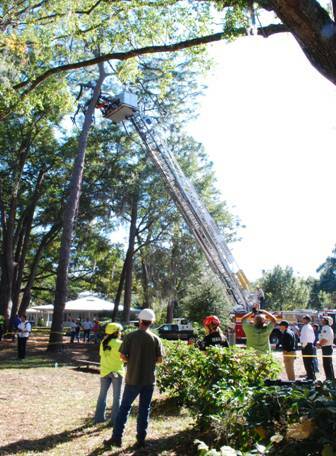 A Kids Tree Climb is available where kids can experience the beauty of trees up high while climbing in a safety harness, helmet and safety glasses in Windermere’s beautiful tree canopy. For more tree education, Smokey Bear from Florida Forestry Division is present with forestry books and information. “Enchanted Walk-Abouts” with naturalist John Springer teach children and adults how to see trees and nature with new eyes. Enjoy food trucks, arts and crafts vendors and live music while you watch the “Geezers in the Treezers” Tree Climbing Competition where Certified Arborists over age 40 compete in 5 different tree climbing competitions stressing advanced tree arboriculture skills and emergency rescue techniques. 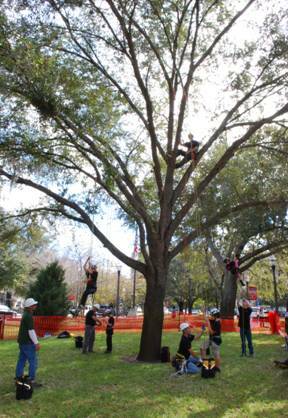 Competitors come from the U.S. , Canada and Britain to compete in Windermere’s historic tree canopy. Arbor Day Ceremony and Tree Planting Celebrating 20 years as a “Tree City USA”, the Windermere Arbor Day ceremony Thursday, January 17, 2013,10 am is coordinated by Windermere Garden Club and Windermere Tree Board with a Mayoral proclamation, Police color guard, children singing tree songs, planting the Arbor Day tree, tree education by arborists and refreshments. Town Square trees and Main Street trees are pruned and mulched every Arbor Day by volunteer arborists and Windermere Tree Board volunteers. Windermere Tree Board wrote and was funded for a 2012 Urban Forestry grant for re-planting small-growing, “Right Trees in the Right Place ”near power lines on Park Avenue . They replaced large Oaks destroyed by hurricanes. Windemere Tree Board volunteers completed 300+ volunteer work & arboriculture hours at Butler Bay Recreation Center Park clean-ups. 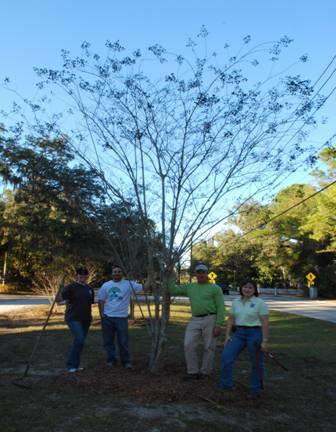 Windermere Tree Board volunteers also completed 50+ volunteer tree planting and tree education hours at Windermere Elementary School as “Partners in Education” with students and staff.